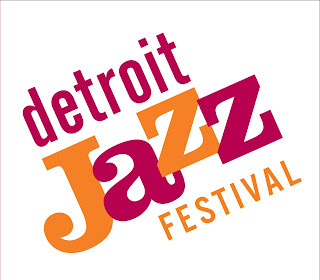 I am excited to be a journalist for the 2015 Detroit Jazz Festival. Detroit is the world's largest free jazz festival presenting one hundred acts over the course of four days. Recently I watched a documentary on the great songwriter Richard Rodgers. Rodgers, along with lyricists Lorenz Hart and Oscar Hammerstein II, composed many popular American songs for musicals, television and movies. Standards he composed include, "My Funny Valentine", "Blue Moon," "Where or When", "Oh, What a Beautiful Morning," "My Favorite Things", "It Might As Well Be Spring", among others. What struck me from his large catalogue was the song "The Sweetest Sounds" from the the only musical he composed both the lyrics and music for, "No Strings". This notion that, "the sweetest sounds I'll ever hear are still inside my head" really resonated with me. Dreaming of "the sweetest sounds I'll ever hear," I wanted to share some of the acts I am most excited to see at the Detroit Jazz Festival. Also read my post on Why I Love Jazz Festivals. Pianist Danilo Perez made ​​a name for himself while touring with Dizzy Gillespie and the United Nations Orchestra. An accomplished solo musician, Perez is currently part of the Wayne Shorter Quartet and the collaborative trio "Children of the Light" with bassist John Patitucci and drummer Brian Blade. The multi-movement Detroit Jazz Festival commissioned project, "Detroit World Suite," will creatively fuse urban and folk music with big band. I am personally excited to see Perez's commissioned work, and how he melds these different sounds together. 2. Eddie Daniels jazz version of Vivaldi's Four Seasons With The Detroit for Detroit Jazz Festival String Orchestra and the Original narration from Douglas Preston. 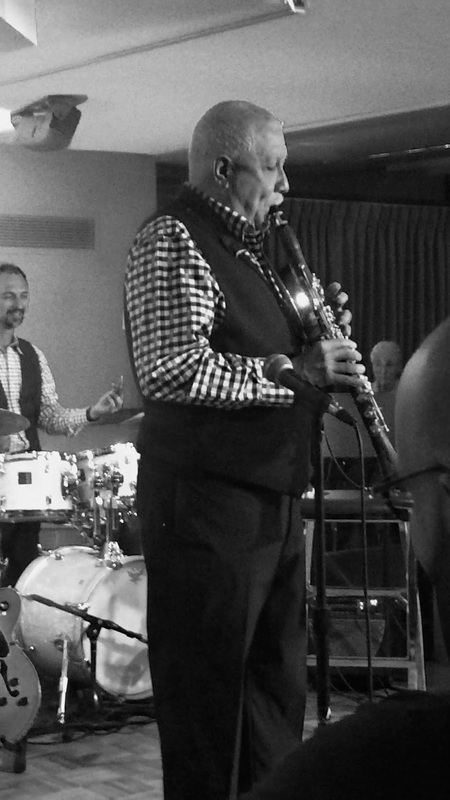 Eddie Daniels is a jazz clarinetist and saxophonist. Early on, Daniels gained exposure as a session musician as well as part of The Thad Jones/ Mel Lewis Orchestra. Daniels has always walked the line between jazz and classical music, playing both virtuosically, and will present a jazz version of Vivaldi's Four Seasons at the festival. I am personally looking forward to hearing this 'jazz with strings' concept, because one of my favorite albums is "Charlie Parker with Strings." Bassist Charlie Haden recently passed away in 2014, but he left the legacy of the Liberation Music Orchestra. Pianist-arranger Carla Bley, who recently received an NEA Jazz Master Award, and bassist Steve Swallow will lead the avant-garde orchestra at the Detroit Jazz Festival. I am personally excited for this because in 9th grade I remember seeing Bley and Swallow at the New England Conservatory before I even knew who they were and was blown away! Gordon Goodwin's Big Phat Band is a masterful big band, with original compositions by leader Gordon Goodwin. Benny Goodman, jazz clarinetist and big band leader, is being honored this year not only with new songs by Goodwin, but also with performances from some of the top modern clarinetists - Eddie Daniels, Paquito D'Rivera, Ken Peplowski and Anat Cohen. I am personally excited to hear how each musician interprets Goodman's music, as well as my own instrument, the clarinet. Guitarist Pat Metheny, is arguably the leading voice on modern jazz guitar. Metheny is coming to Detroit this year as the Artist in Residence, playing in a multitude of groups from duo to big band. I am personally excited to see the breadth and scope of Metheny's work through a variety of concerts including numerous special guests ranging from bassist Ron Carter, to vibraphonist Gary Burton, to saxophonist Kenny Garrett. I can't wait for what's sure to be "the sweetest sounds I'll ever hear" at the Detroit Jazz Festival. I encourage anyone in the area, or wanting to travel, to make the trip! Paquito D'Rivera will be part of "Benny's Threads"
Please visit my blog jazz poetry, " Without a Poem "Where I improvise a new poem everyday! Also I share jazz music and art there, so stay tuned! Please subscribe to Kind of Pink and Purple by email (top right of the page) and follow on other social media: Twitter , Tumblr , Instagram , Google Plus , Pinterest .